April 1, 2016, the start of the month that includes hints of Spring with hopes of warmer weather on the way. It is also our Safety First Day of the Month. We prefer that you test your smoke and carbon monoxide (CO) alarms on the first day of every month. "Press to Test" your smoke and CO alarms today to ensure you and your loved ones are protected from the devastation of fire and CO. Every 1st day of every month is designated as the day to test your smoke and CO alarms to ensure they emit that life saving alert. Simply press the test button on the front of the alarm. Keep in mind that as of January 1, 2018 all battery powered alarms must be switched to the 10-year style alarms. 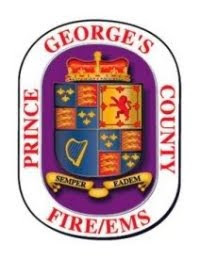 Both working smoke and CO alarms are required by law to be in all homes, apartments, condos and dorms in Prince George's County. On the first day of every month, regardless of whatever day it is, simply press the test button on the cover of your smoke and CO alarms. When you "Press to Test"
Audible warning?? Yes – you are good until next month!!! No tones – remove the alarm and replace it with a new 10-year alarm. Anyone that can not afford to purchase their own 10-year smoke alarm may call 311 and make arrangements for a firefighter to visit your home and install these life saving items for you. Remember that it is now a law for homes that have gas service, fireplace and/or an attached garage are required to have CO alarms installed on every level of your h.
Also, design a exit drill in your home and identify two ways out of every room in the event of a fire. Designate a safe meeting place outside and practice you exit drill at least twice a year. ** Hint ** Other monthly tasks such as changing filter furnaces, providing our pets with monthly medications, etc. can be done on the safety first day of the month as well. Install CO alarms on every level of your home, primarily, just outside of sleeping areas. Install smoke alarms on every level of your home, primarily, just outside of sleeping areas and in every bedroom. Sleep with your bedroom door closed. Plan and practice an exit drill in the home. Identify 2 ways out of every room in your house and a safe meeting place outside.